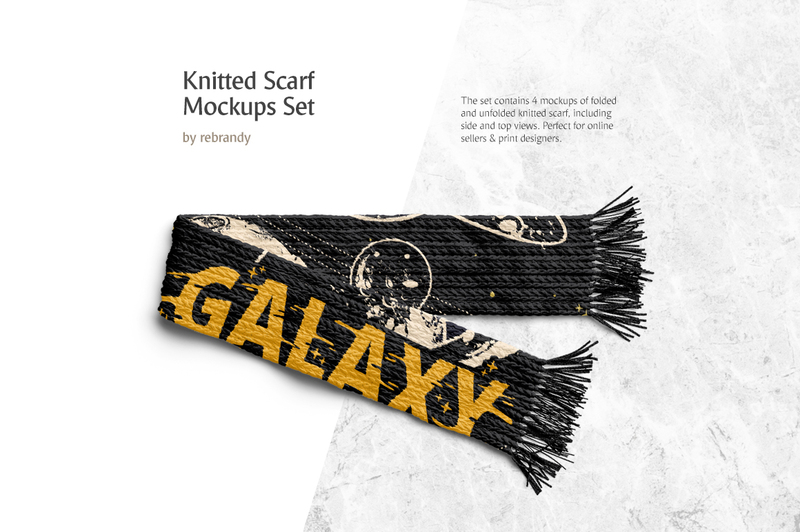 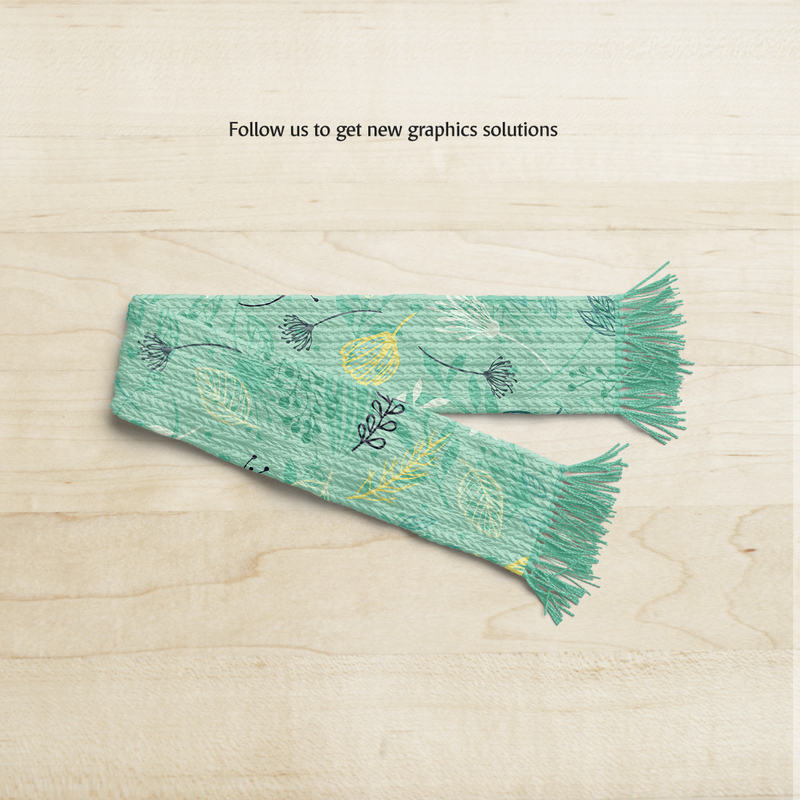 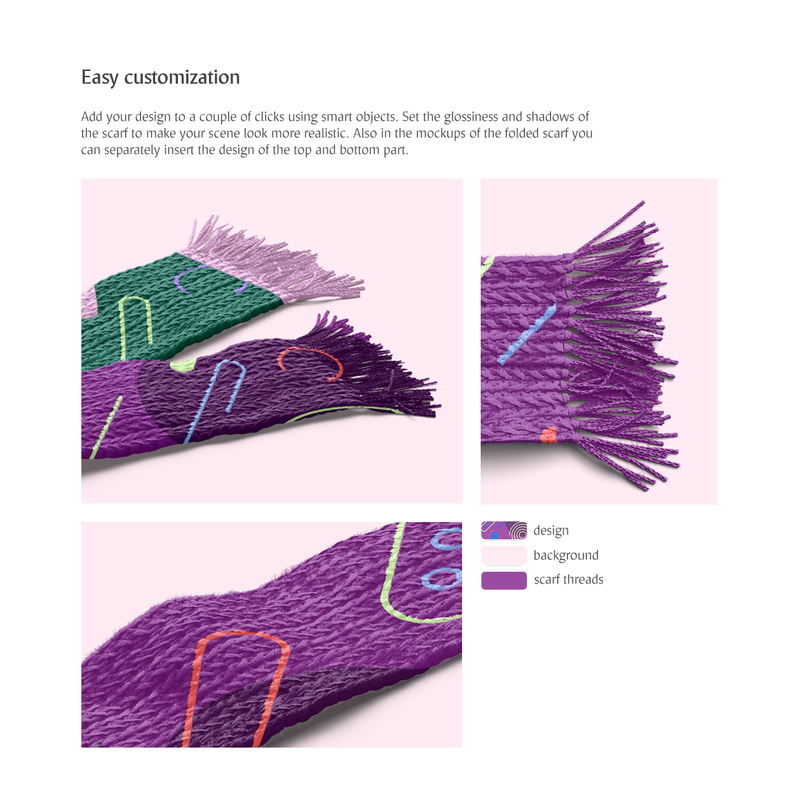 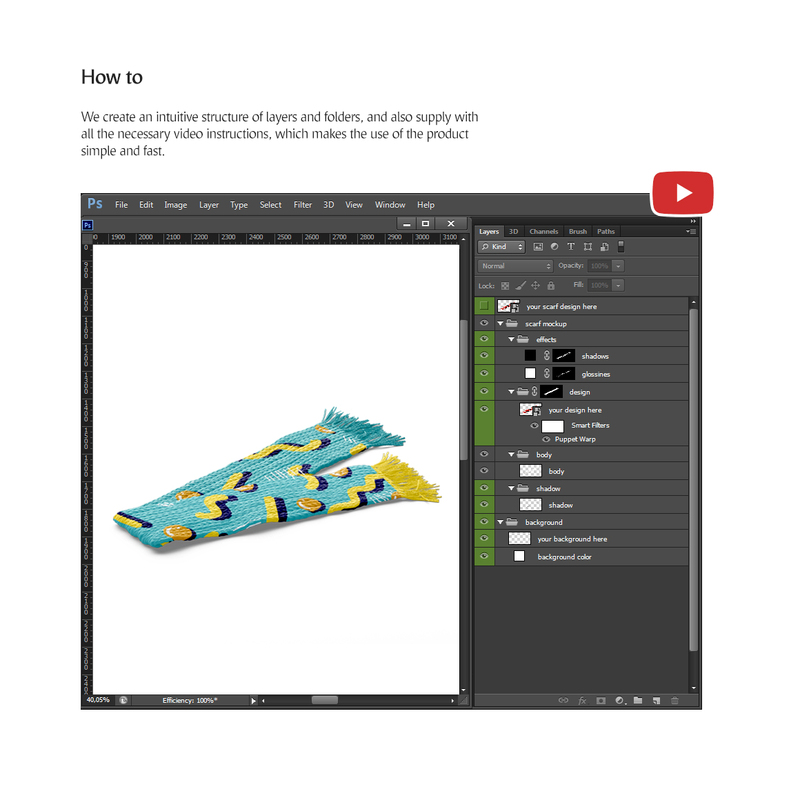 With our cozy Knitted Scarf Mockups Set you will not freeze even in the coldest winter. 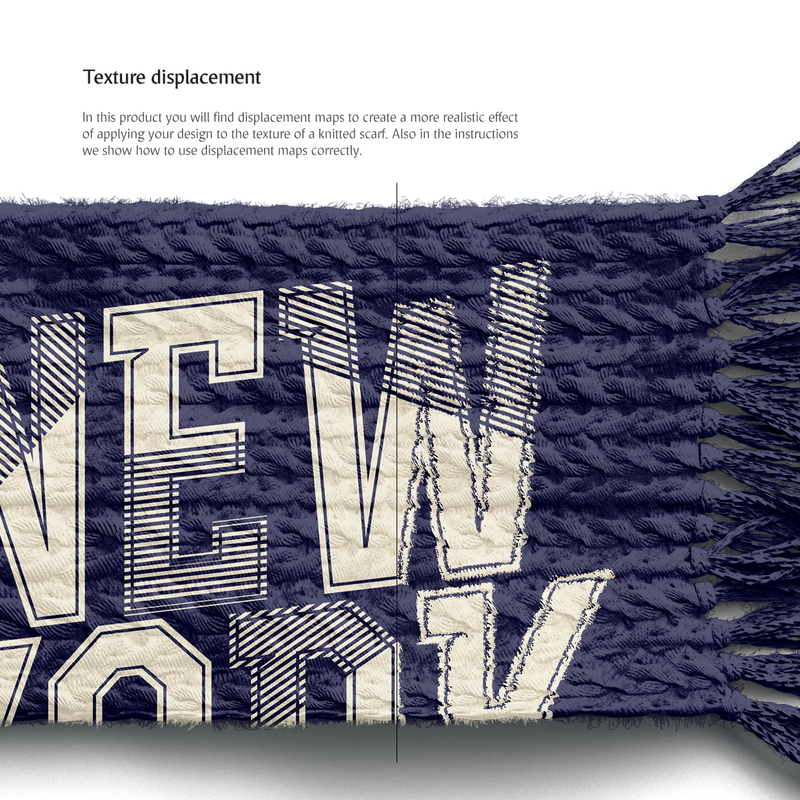 Quick and easy customization of any of your designs, set the glossiness and shadows of the scarf and also displacement maps to create your scene more realistic. 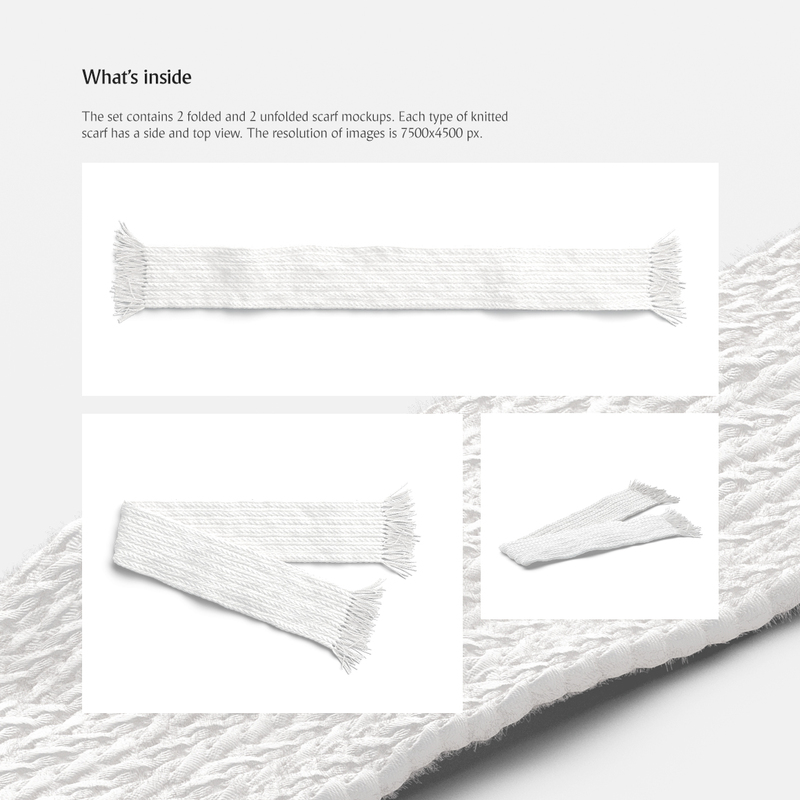 The set contains 2 folded and 2 unfolded scarf mockups, side and top view.